Today, you are a member of... Umbra Penumbra Punxsutawney - You Are A Member! 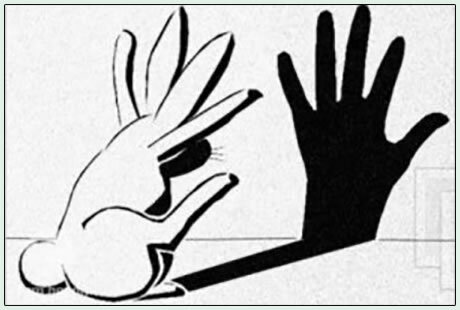 No, Members, shadows cannot predict weather patterns. Indeed, they “predict” that you have mass, to use the vernacular of physics. And, yes, you can say they give us a kind of a map into the psychic backwaters of unconscious, where the Id and C*H*U*D frolick like Dali-depicted antelope (if Carl Jung is to be believed). Sure we have formulas: Kolmogorov’s, Mironenko’s, psychotherapy. But no matter how many top-hatted whistle pigs you see, it will guarantee nothing as to the dynamisms of turbulent flow. So this week, don’t put climate on a rodent’s relationship to the fanfare, don’t let the mystery of atmospheric circulation be the boss of you, and remember: if you are a gnomen, no matter how long a shadow you cast, it means you in fact, have an elevation angle.